In recent years, many of our high street stores have been forced to close due to the rise of online shopping and supermarkets, the latter of which now seem to occupy huge spaces at the hearts of our town centres. These are trends I want to see reversed. High streets were once at the centre of communities around the nation. They weren’t just a shopping destination – they were places to socialise, where events could be held. Each town had one, and each one was different. Today, with supermarkets dominating once bustling town centres, towns haven’t just lost their identities, they’ve lost their hearts. You can visit the supermarket in your home town or one a hundred miles away, and they would be the same; the same food in January as in August, little or no interaction with other shoppers and staff who lack passion in their work. But it isn’t their fault – supermarkets provide nothing to get excited about. In my opinion, online shopping has even less character than that of supermarkets, but is growing at an astonishing rate nevertheless. Admittedly, shopping online can be incredibly convenient, you can get almost any product from anywhere in the world, but there’s something missing – the experience of shopping. You don’t discover anything new, you don’t speak to people, and you don’t even handle your own money! The good news is that it doesn’t have to be that way. 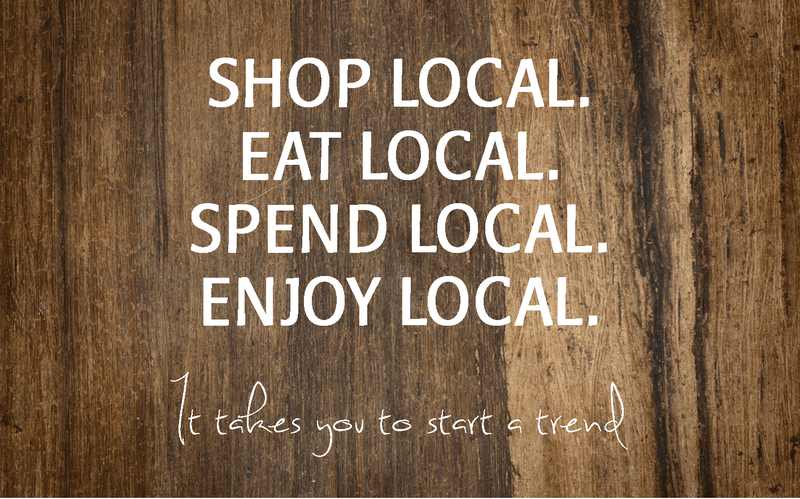 By making the simple choice to shop locally, all of that can change. 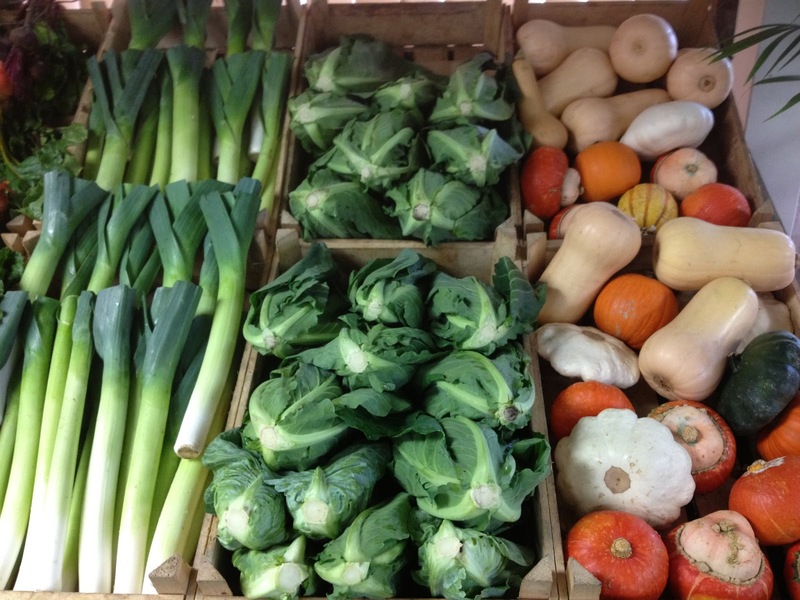 Pop to the local farm shop or farmers’ market and you’ll see fresh food which changes with the seasons, grown just a stone’s throw away. Talk to the staff and the growers, whose passion for what they do will be infectious. And the changes you’ll see won’t just be in quality and atmosphere, it’ll be in price. Pay a visit to local artisan producers and you’ll discover little gems you didn’t even know existed; locally produced food, handmade goodies, traditional craft beers and so much more. Artisan goods may well be a little more expensive than what you normally pick up at the supermarket, but they’re much better quality and they celebrate what is local. You also won’t be dropping tasteless, unhealthy ready meals and ‘treats’ into your basket that you don’t need, so you could still make a saving by shopping local! 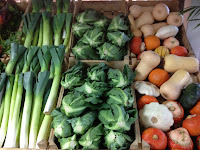 That leads me nicely on to another benefit: shopping locally might actually help you to eat more healthily. The main reasons people say stops them making healthy meals are cost and time. But through shopping locally, you can pick up healthy ingredients very cheaply and make a delicious meal in half-an-hour! You might also discover exciting, unfamiliar foods, expanding the choice of meals you could create. And the good news doesn’t stop there! With less goods being transported from the other side of the world and less packaging being used, there’s far less damage to the environment. Also, more of the money spent with local businesses tends to be reinvested locally, while much of that spent with supermarkets ends up elsewhere. 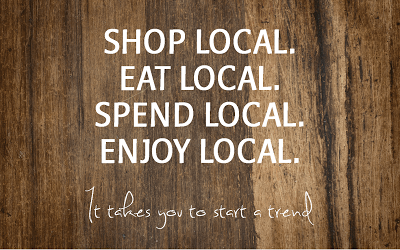 So, shopping locally doesn’t just make for a better experience, but is also better for you and your family, your local economy and the environment. True, the shopping might take a bit longer, but it’s time you’ll enjoy spending and an experience you won’t forget. 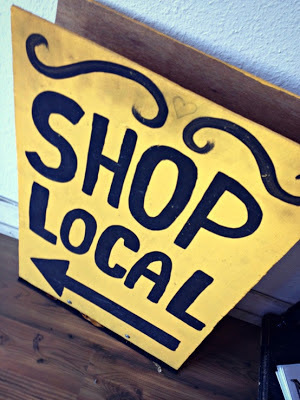 So this weekend, don’t go to the supermarket or order your shopping online, make the decision to shop local. To see my article on what being local means, just click here.